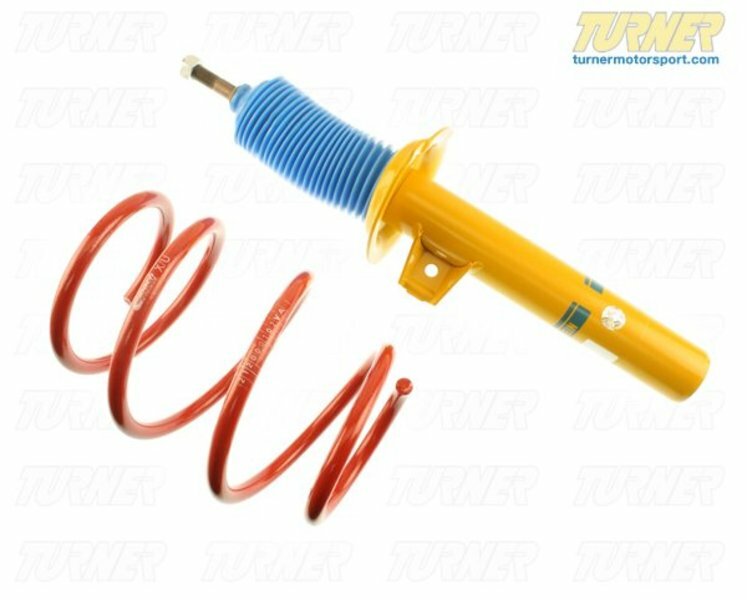 Bilstein has teamed up with Eibach to offer matched shock and spring packages. 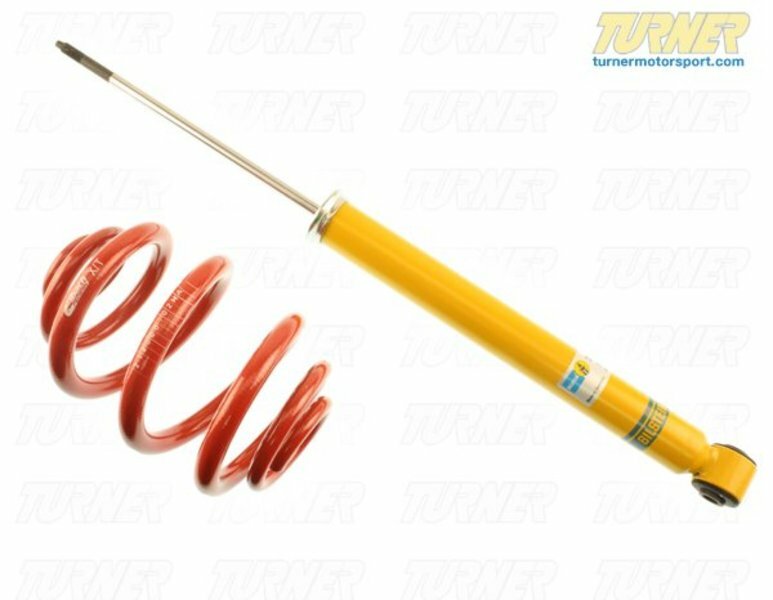 These E46 Eibach springs are mated to a special set of Bilstein shocks to deliver a sporty and taut ride with as little impact on ride comfort as possible. The E46 B12 Sportline Kit uses an Eibach Sportline spring with Bilstein's Sport shocks and struts. The Sportlines are lower and stiffer than a standard Pro Kit spring for even greater reduction in bodyroll and better handling. 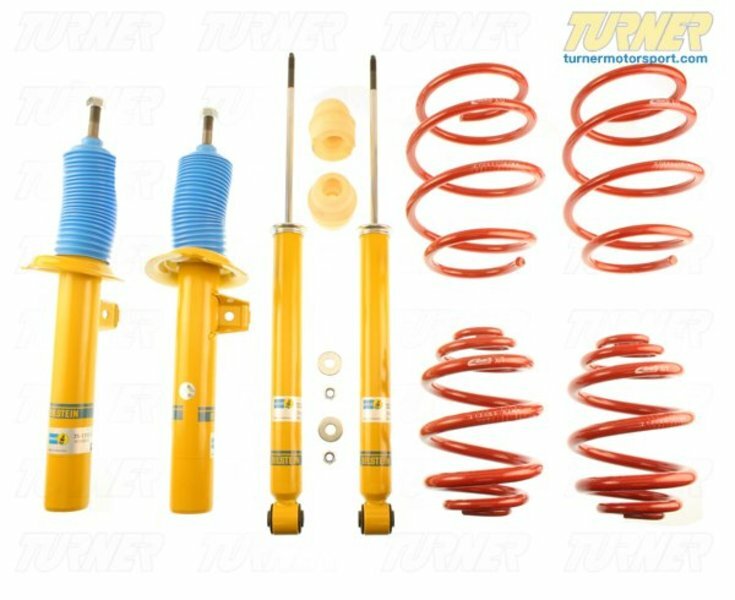 Instead of taking parts from different manufacturers, Bilstein has tested the performance of the Eibach spring and tailored their shocks to be a true match for the new spring rate and ride height. This is known as a matched shock and spring and very few tuning companies take these extra steps. The B12 Pro Kit lowers the E46 by different amounts for sedan or coupe: up to 2.0" / 1.0" for sedan and up to 1.0" / 1.0" for a coupe. Most cars don't need coil overs to improve their handling and bodyroll. For most drivers, simply replacing the shocks and springs with performance versions will meet their goals. If your shocks need replacing, and you felt the handling could be greatly improved, this is an excellent E46 performance suspension for you. Special introductory pricing means you essentially get the springs at a deep discount!